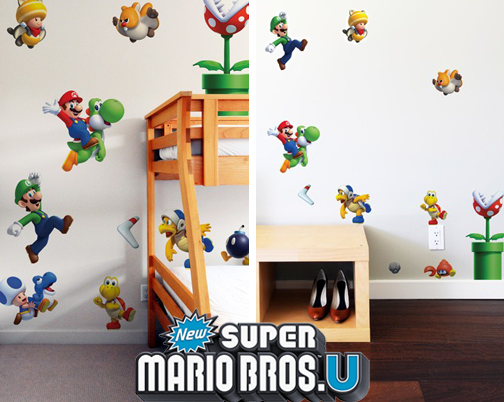 Stickboutik: stickers muraux inédits Design, Geek & Kids: New SuperMario Bros. 2 & U Wall Stickers now available on Stickboutik.com! 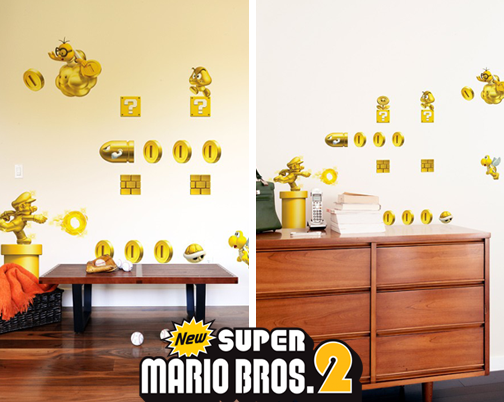 New SuperMario Bros. 2 & U Wall Stickers now available on Stickboutik.com! Our range of official Nintendo Super Mario Bros. Giant Wall Stickers is growing! now available in two sizes, Mini or Large. Our most precious version: New Super Mario Bros. 2 in... GOLD! Straight out of the New Super Mario Bros. 2 video game, this artwork was developed by Nintendo for the Nintendo 3DS portable console. Princess Peach is in trouble again and Super Mario and Luigi have to make their way to the Princess’ castle to help her in New Super Mario Bros. U. 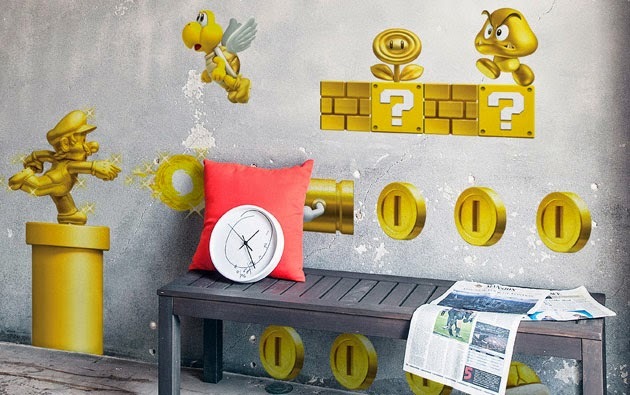 This set of Giant Wall Stickers contains a colorful collection of Super Mario and Luigi and a bunch of characters they encounter on the journey to save the Princess. Dive straight into the heart of the New Super Mario Bros. U video game, as this artwork was originally developed by Nintendo for the Nintendo Wii U. console. Whatever the size Mini or Large, all the designs are similar. You can now choose according to the size of your walls! are officially licensed Nintendo products. Now is the time to discover this brand new collection and transform your walls! MondriPong: Mariage insolite entre l'Art Contemporain & le Jeu Vidéo. BLACK FRIDAY sur Stickboutik.com: c'est parti! (c) 2016 Stickboutik.com . Fourni par Blogger.